Here we are, once again arriving at the start of July. 40'c at 6:30pm and 75% humidity? 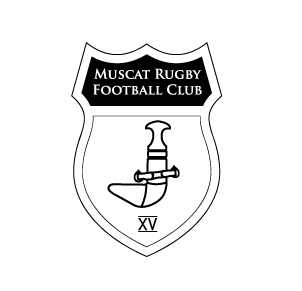 Perfect for pre-season fitness training for the 2011-12 Gulf Conference champions, Muscat Rugby Football Club. Starting tomorrow night, Sunday 1st July, and every Sunday and Tuesday thereafter until mid September, the MRFC squad will be under the direction of Steven Little, from Muscat's premier cross-fit trainers, Muscat Innerfight. So if you are feeling the strain from the Muscat summer inches phenomenon which seems to happen once it gets too hot to do anything other than drive to and from air conditioned places and waistlines expand, why not consider coming down and joining in with the misery fun of pre-season fitness with the rugby team. This map shows where the MRFC grass pitch is (although it is closed until September) as well as the ABA School. The summer fitness sessions take place on the astroturf tennis courts by the entrance to the ABA school every Sunday and Tuesday from 6:30pm. 40% off drinks until 22.00 and a 20% discount on all beverage consumptions after 22.00. Free pool access until 30 September 2012, any day. 01 October 2012 until 30 April 2013, free pool access during weekdays (Saturday, Sunday, Monday, Tuesday, Wednesday); 50% discount on any other day. 01 May 2013 until 30 September 2013, any day. 01 October 2013 until 30 April 2014, free pool access during weekdays (Saturday, Sunday, Monday, Tuesday, Wednesday); 50% discount on any other day. 01 May 2014 until 31 July 2014, any day. MRFC members get a discount of 25% when purchasing the Advantage membership. The hotel offers a special rate for MRFC members for a Grand Room of OR 50.000 (Omani Rial Fifty) plus service charge and tax (OR 58.700NET) room only for single or double occupancy. Only available on Wednesday, Thursday and Friday. 40% Discount on any Club Olympus Membership for any MRFC member. If you would like to sign up as a social member, and get access to these great perks, as well as support rugby in Muscat, please do drop me an email: mrsythe [at] gmail.com. Bloody awesome- looking forward to it. YEAHHHHH!!!! Thank you Hyatt folks! We knew you're the best. And Poutine tonight? This can't be beaten. Ever. Inner Fight team there? with Stevie? Hey - what's the deal with children ? do you have a kids membership or do they just have to pay the full price if they are going to the Hyatt pool with you ?